The death throes of the Ming Dynasty coincided with systematic attempts to link martial arts with the three major faiths of the region (Taoism, Buddhism, Confucianism), medicine, cosmology, spiritual transformation and the quest for immortality. 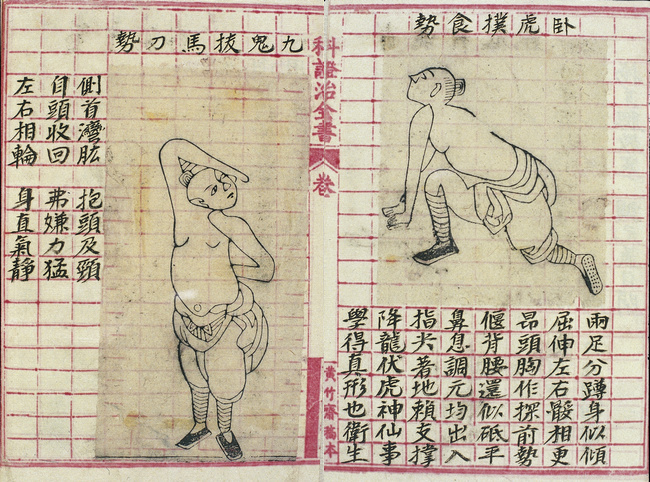 By the middle of the 1600s, just before the fall, martial arts in China had become an integral part of a Grand Unifying Theory of Chinese Culture. The critical text that rolled all of these elements into one system was the Sinew Transformation Classic, written in the first half of the 1600s. The Classic is a manual for attaining enlightenment through religious and physical exertion and it was the first text to claim Bodhidharma as the founder of Shaolin kung fu. The author, a mysterious person who called himself the “Purple Coagulation Man of the Way,” fabricated prefaces from one famous general who lived 1000 years prior and another from a quasi-mythical figure, Yue Fei, who supposedly learned the secrets of the Classic from a wandering monk-magician. The ideas set forth in that text helped create a hyper-real cult of kung fu that has survived mostly intact into the present day. Kung fu defined as internal qigong practices and the quest for spiritual immortality through martial techniques passed down from an ancient Buddhist monk has become canon for generations of martial artists. This despite the fact that the Classic is an obvious work of historical fiction. Still, the Classic represented all that was good and true and strong about Chinese culture and, for those living during the end of the Ming dynasty, it was the book that provided hope of redemption and revenge as the fires of Armageddon burned the greatest civilization of its time to the ground. The Qing were northern foreigners; the Ming were Han Chinese—the fall was traumatic and put to question everything the Chinese believed about themselves and the world they had built up. Had the Ming dynasty survived another few centuries, the grand theory uniting all the disparate elements of Chinese culture might have developed into a whole new faith. The Ming fell, however, and for the next 300 years the cult of kung fu was in the crosshairs of the Qing emperors. Shaolin monks were punished for teaching or practicing martial arts and any loud-mouthed religious figure with ties to the temple was apprehended as quickly as possible. It wasn’t just paranoia: by the end of the 1800s the entire empire was torn apart by sectarian rebels armed with the cultural clothes and martial traditions laid down in the Sinews Transformation Classic. For the first 40 years after the fall of the Qing (1911), martial arts were once again a pillar of society. Kun fu was a “National Art” and every major thinker of the time called for mass martial training to strengthen the Chinese body and rejuvenate the Chinese soul. The old canon was back, slightly transformed for the modern world, but still replete with spiritual goals wrapped up in physical exercise. The Chinese were once again trying to build their grand unifying theory, the narrative that would form the backbone of their civilization. Martial arts were and still is a critical part of that narrative. When the Sinews Transformation Classic was written, the various elements of high Chinese culture were considered the core of any true gentleman’s daily life. A cultured Chinese person would need to study medicine and art, be able to write calligraphy and quote poems, but above all the cultured person would need to strive for enlightenment through martial discipline the cultivation qi energy. 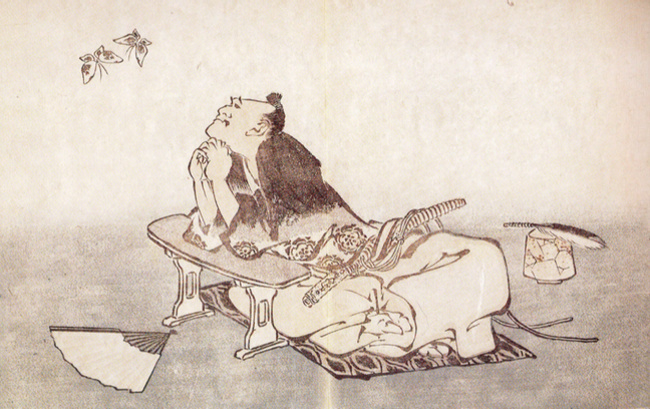 Everyone from the village master to the emperor knew of the “poet-warrior-monk” ideal. That is still true today, in modern China, where the search for a true belief consumes the average person as much as it keeps foreign pundits and the government up at night. Premier Xi Jinping has spent considerable political and personal power developing the cult of the China Dream, which for the Communist Party means the rejuvenation of the country through moral strength (Confucian values and loyalty to the state), national power (military as well as economic) and the flowering of personal ambition. The goal has never changed from the Ming Dynasty until now: spiritual and national rejuvenation. One thing that has changed is the role of the martial arts in this process. When once the martial arts played an integral role, now they are—from the state’s point of view—at best an engine for economic growth and at worst a liability. It doesn’t help that the traditional martial arts are split up, unorganized, fraught with disunity and foundering with an unclear purpose. Modern MMA has really put this into perspective, and I’ve written before that the authentic realism of MMA flies in the face of the hyper-real cult of kung fu, creating a confrontation that has yet to really resolve itself. It’s strange because the old canon passed down from the Sinew Transformation Classic is still very powerful among the people. Your average Chinese citizen (and many international practitioners of kung fu) still holds the quest for longevity and spiritual strength through martial arts as very dear and very true. The Grand Unifying Theory of Chinese Culture exists in the hearts and minds of the Chinese and it mirrors in many way the canon laid down in the Classic. Looked at this way, the state’s drive for a unifying ethos, the China Dream, is just getting in the way of the dream that’s been developing for centuries, the dream laid out just as the last powerful Chinese dynasty was disintegrating. Ironically, the myth created by the Sinews Transformation Classic is in fact the oldest and truest China Dream.